Voted one of Southern California “Super Lawyers” in a poll conducted by Los Angeles Magazine, real estate and construction litigator and trial lawyer Dan Goodkin formed his own consulting and law firm practice following a year as Principal and General Counsel with a major national real estate development company for which he had previously served as litigation counsel. With a successful legal career entirely focused on real estate and construction litigation, Mr. Goodkin has represented many large and significant institutional real estate clients. Mr. Goodkin’s in-depth and extensive experience in all aspects of real estate litigation, dispute resolution, contracts, risk management and insurance offers clients expert capabilities for managing all risks for real estate businesses in the most cost-effective way. 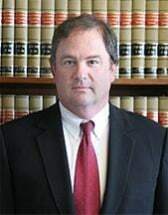 His successful record of real estate litigation and trials includes purchase and sale agreements, broker disputes, landlord-tenant disputes, real estate finance and partnership issues, construction and homeowner association disputes, complex bankruptcy issues, and environmental contamination and air remediation issues. In each case, Mr. Goodkin consults with the client to develop winning strategies for issues concerning insurance coverage, including the review and analysis of insurance policies for defense and indemnity obligations; underlying claims; and negotiation and/or litigation. As General Counsel, Mr. Goodkin obtained unique insight into ‘big-picture’ risk management policies, and created his concept of the “litigation waterfall,” a strategy that involves a careful examination of every contract from the perspective of any and all claims from third parties, partners or any others, to ensure that all contracts work together as one coordinated enterprise. From the beginning of a client’s real estate project, his focus is on managing all risks to the client that may naturally arise from real estate contracts, including the detailed management of compliance with all insurance policy requirements, in efforts to avoid the potential for litigation. Currently, Mr. Goodkin is actively involved in construction defect risk management and litigation, including new risks associated with the California legislature’s passage of the Right to Repair Act (SB 800), and in structuring insurance and risk management policies and procedures for all types of commercial real estate, including retail and multifamily development projects. Mr. Goodkin’s expert knowledge of SB 800 is an important asset to developer clients seeking to minimize construction defect litigation risks as much as possible. Mr. Goodkin is co-author of the book Easements and Boundaries: Law and Litigation, published in 2008 by Continuing Education of the Bar — California (CEB). He has been cited as an expert on mold and its impact on commercial real estate buildings in the California Real Estate Journal. Mr. Goodkin serves on the Executive Committee of the Real Estate Section of the Los Angeles County Bar Association and was previously Chair of the Construction Subsection for two years. Mr. Goodkin also served as assistant chair of the USC/LACBA Benjamin S. Crocker Symposium on Real Estate and Business 2004, and as a Judge Pro Tem for the Los Angeles Superior Court. In demand as a speaker to trade organizations and bar associations on real estate and construction related issues, Mr. Goodkin has also delivered many seminars on construction insurance and risk management strategies, real estate finance litigation, bankruptcy issues, design/build construction, litigation strategies with respect to mold litigation, complex litigation, landlord-tenant disputes, easement and boundary disputes, and other advanced real estate topics. Mr. Goodkin earned his BA at Claremont Men’s College and the University of California, Los Angeles, and his Juris Doctorate degree at Loyola Marymount University, Los Angeles.